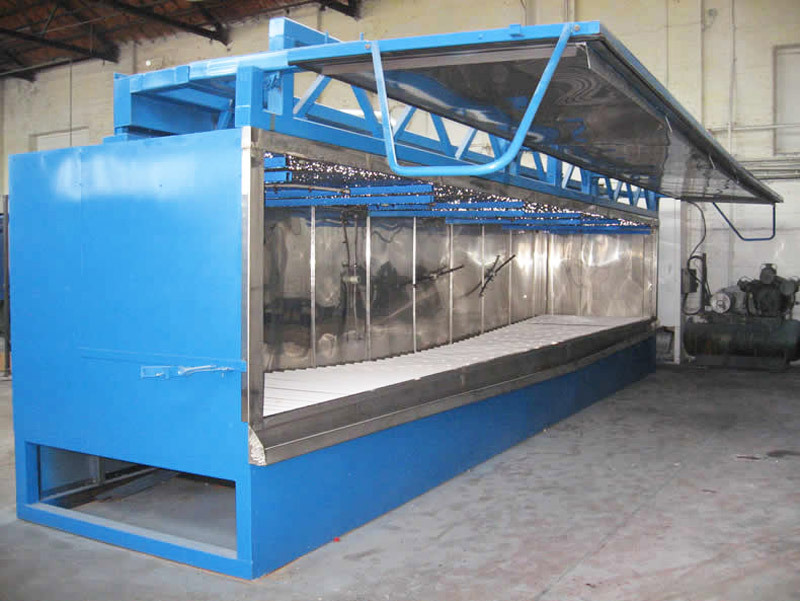 The Auto-wash is our fully automated, pre-treatment machine for use in the powder coating industry. 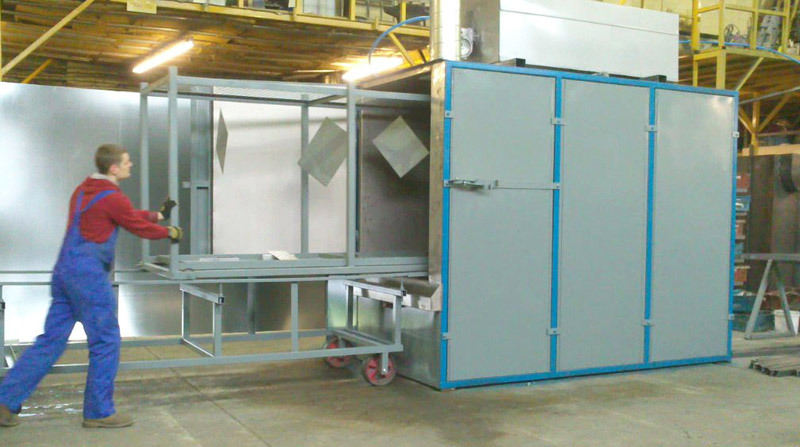 Successful powder coating involves more than spraying powder and curing in an oven. The pre-treatment process can determine the difference between an average job and a first class one. Quality standards are inexorably rising in all aspects of industry and no more so than in powder paint finishing. More and more customers are demanding a phosphate conversion coating. The days of wiping products down by hand are becoming limited and it is no coincidence that the most successful powder coaters have decent pre-treatment systems. 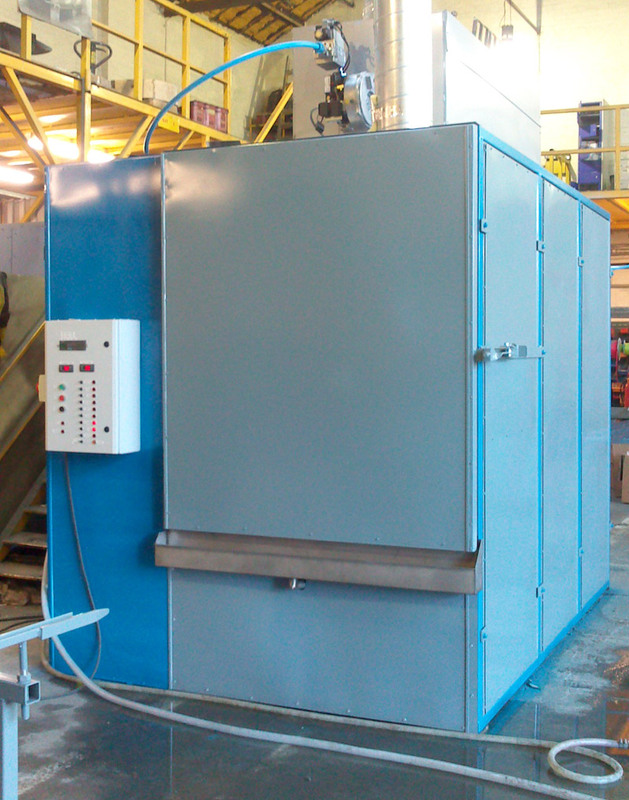 0ur standard Auto-Wash is a two tank system and is suitable for most steel and aluminium processes. It is very simple to operate, economical to run and completes its cycle quickly. After loading the parts, which can be done using a trolley system, the machine heats the chamber to 40°C to soften any oil or dirt residue, and then washes the parts with a detergent and phosphate solution. This is followed by a cold water rinse and finally drying at 100°C. A four tank system, suitable for pre-treatment of aluminium to exterior grade, can also be produced. The price for a 4 tank system is an additional 25% added to the prices below. The chamber, tanks and various other parts are made from stainless steel. The whole process is automatically controlled via an on board Siemens PLC computer. Our UK manufacturing plant produces high quality machines, designed and built to last. We can also custom make larger sizes to suit individual requirements, please contact us for more details. 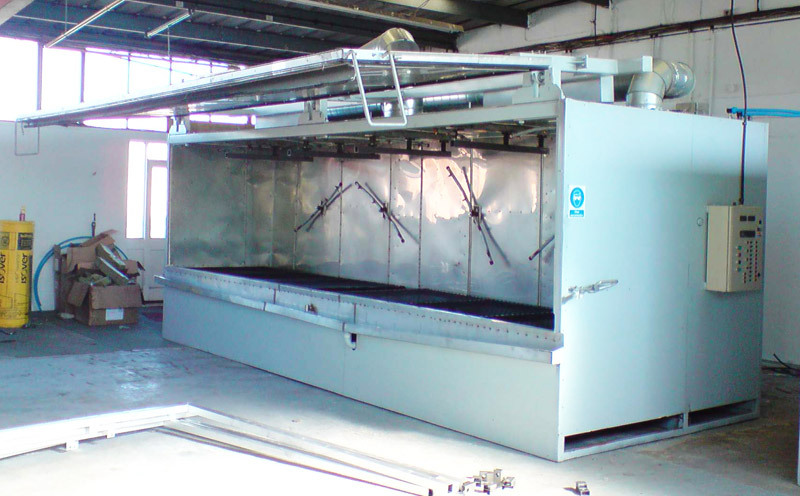 Our Auto-Wash machines are available to view in our manufacturing premises in Glossop – SK13 6LG (10 miles South East of Manchester – 5 minutes from the end of the M67).